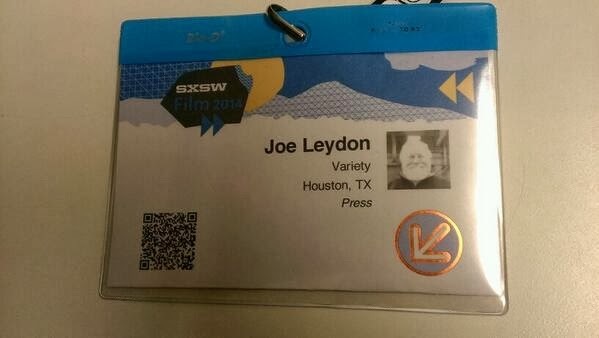 I'm locked and loaded in Austin, ready for tonight's kickoff of the South By Southwest Film Conference and Festival -- a.k.a. SXSW Film, or just plain SXSW. And as you can see in this CultureMap piece, I have already scoped out some titles I want to see. So, OK, when do the parties start? Sysrt, eh? Sounds like somebody has already started partying. LOL.